On Friday (March 15), Lil Wayne had the world fearful for his life when he was admitted to the ICU at Cedars-Sinai hospital after reportedly suffering multiple seizures. Tonight (March 18), the artist was released. The news comes via collaborator Mack Maine, who tweeted, "Thanks to Cedar Sinai for everything!!! @LilTunechi has been officially been released and is headed home....God is great." Despite much speculation that Weezy's condition, which also may or may not have involved stomach pumping and an induced coma, reports still indicate his health scare was related to his experimentation with codeine consumption. While label head Bryan "Baby" Williams has denied that drug use was the cause for the seizure, it was clearly a very serious situation, as family, close friends and collaborators all visited the hospital over the weekend. Stay tuned for an official statement from Wayne's camp as it becomes available. 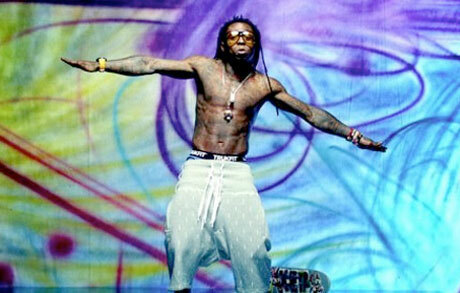 Weezy recently appeared alongside Talib Kweli in the clip for Mack Maine's "Celebration," which can be viewed below.